Tusshar Sasi	 October 20, 2017	 2 Comments on “Secret Superstar” is a necessary film, though not necessarily great! As I was stepping out of the suburban Mumbai theatre after a late night show of Secret Superstar, I spotted a burqa-clad lady in the aisle. When I reached the parking lot, I saw another. Both had their faces covered and I don’t remember the last time I noticed women in burqas in this theatre. It is, however, possible that they were always around and I was more sensitized to their presence this time around. No, Secret Superstar isn’t a story of religious plight. In fact, religion is never discussed in its 2.5-hour long runtime. Then what else can it be about if the movie is about a viral sensation in a burqa? Insiya (Zaira Wasim, an absolute delight) lives with her family in the quiet city of Vadodara. 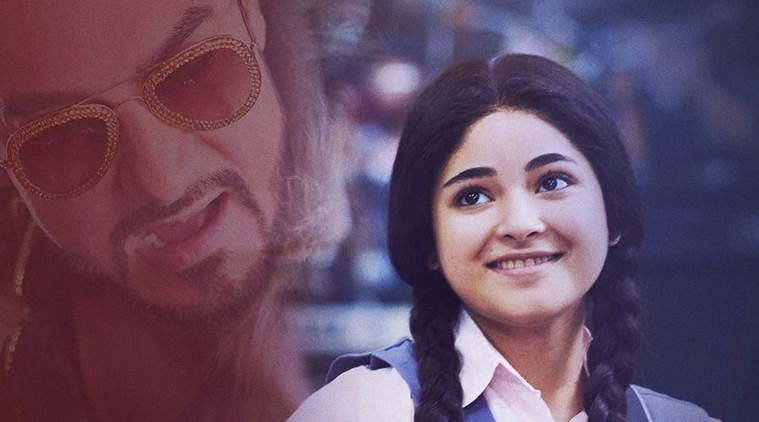 Blessed with a magical voice (at least the film wants us to believe that), Zaira is saddled – not necessarily with religious conservations, but with the society’s deep-rooted patriarchy that her father practices with zero shame. Insiya is blessed with a mother (Meher Vij, the best performer in the film) who supports her, despite knowing the after-effects of the same. She has a loving younger brother and an aged, cribbing granny. Secret Superstar offers a plaintive picture of dysfunctionality wherein the man of the house is clearly the villain whose blatant partiality towards his boy child is conspicuous. Making his debut, director Advait Chandan laces this predictable fairytale with a mixed share of emotional moments – some organic, some manipulative. The foundation of Chandan’s writing resides overtly on easy twists and done-to-death clichés. There’s the family that is curious about award shows and Shah Rukh Khan’s films but treat them as dream spaces for normal mortals to venture into. There is also a flamboyant music composer whose weird ways make him a shunned entity in the film industry. There is the mandatory school crush who, interestingly, becomes the film’s most adorable character. Cheesy indeed but Secret Superstar takes you on a happiness high when Insiya reveals her password to the smitten Chintan (Tirth Sharma, what a find!). Similar scenes do work here and there although most of them are inserted just so that we could go ‘aww’ at the characters. Case in point is the little brother’s cutesy antics that will melt anyone’s heart. Was any of it vital to the screenplay? No. Another notable factor is how Advait Chandan’s female characters change colours frequently. Be it Insiya, her hapless mother or the grandmother, all they need are instant triggers to cartwheel their thought processes. As a result, several of the key sequences fail to do justice to the film’s subject matter – which in clear terms – is important. Director Chandan is also quite a failure in staging his scenes – elements that crucially lack in Insiya’s first recording or in the airport scene towards the finale. Before you could get in the mood of what’s happening, the film shifts gears. 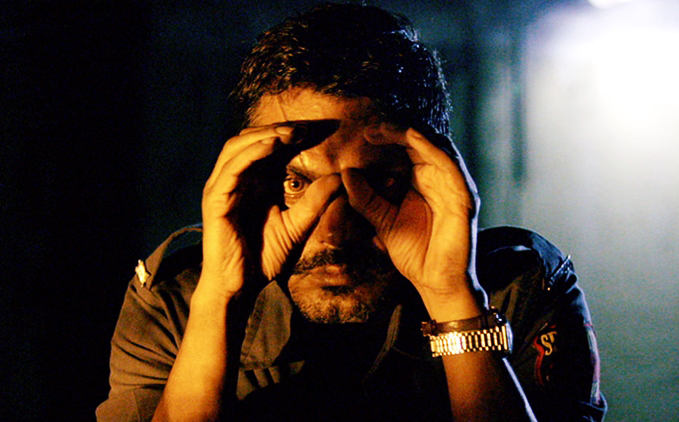 Having said that, Chandan’s directorial skills seem far better than what he has on papers. On the brighter side, Chandan confidently explores the half-innocent, half-thoughtful mind of the protagonist. She is good at making plans that will help her get close to her dream. She is mature enough to suggest the idea of a divorce to her mother or at least their relationship has evolved so much that the latter doesn’t mind. Again, it is not very clear whether Insiya ever loved Chintan although most of their interactions are designed to be the film’s light bits. Maybe she was just using him and this vagueness is perfectly okay. Later when Insiya meets Shakti Kumarr (Aamir Khan, in great form), she isn’t the star-struck small-town girl. Albeit naïve, she comes with an agenda. Kumarr, on his part, turns out to be compassionate and helps her out. Never mind his ghastly attire and the lame comparison of talented artists to fizz in a soda glass. On another important tangent, Secret Superstar is a film in which a major share of its magic relies on its soundtrack (Amit Trivedi – Kausar Munir). It is of no help that Secret Superstar’s music is listless, to say the least. Neither do the compositions stand out nor is the rendition of celestial variety. Indeed the idea of a burqa-clad singer is tempting but I felt awful when the audience members took loo breaks as the main song played on screen. Playing the Messiah for the umpteenth time, I wondered why an actor-producer like Aamir Khan greenlit this project. The answer is that he realizes the necessity of this story. That of an underdog girl somewhere in Vadodara who travels in an airline carrier called ‘Azad Air’ but is also slowly concurring to patriarchy. With the sort of high that the film gives us when the perpetually oppressed mother takes a stand (do note the shutting glass door as the tormentor looks on) or when the veil comes off at a dramatic crescendo, one feels how this could be the story of anyone who dreams. Or even that of those burqa-clad women who watched (and possibly enjoyed) the film in the same hall as mine. If only the film had better methods and a taut screenplay to convey this reflective message. This is amazing Tushar. I love the way you write. Simple yet powerful. Thank you for your good words, Karthika. Next Post“Golmaal Again” – This Rohit Shetty franchise should have aged better!